Forget vacuuming – with a three-way filtration system from Kayak, your pool will keep itself sparkling clean! 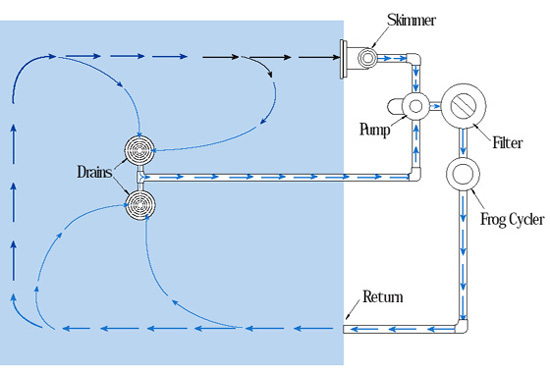 Comprised of two continuous operation bottom suction drains and a surface skimmer, the system is designed to maximize water circulation and minimize floating debris. Kayak’s three-way filtration system is compatible with all pool sizes. Try our deck configurator to find the perfect Kayak pool for your yard! Our team can help you choose the ideal pump, filter, and heater for your pool size.